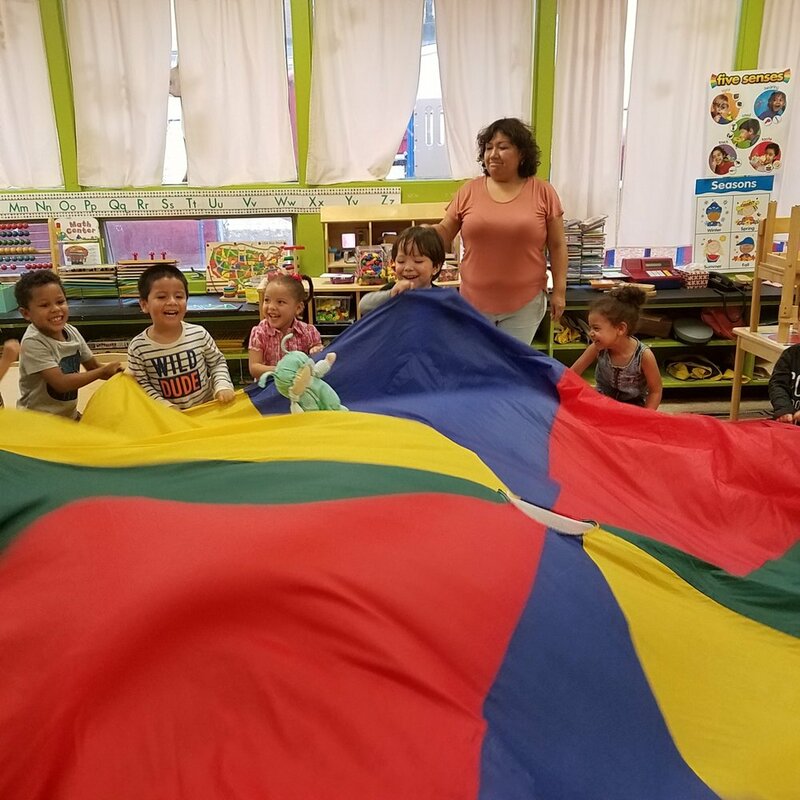 The rainbow parachute brings the thrilling excitement out of the children when skies are blue. 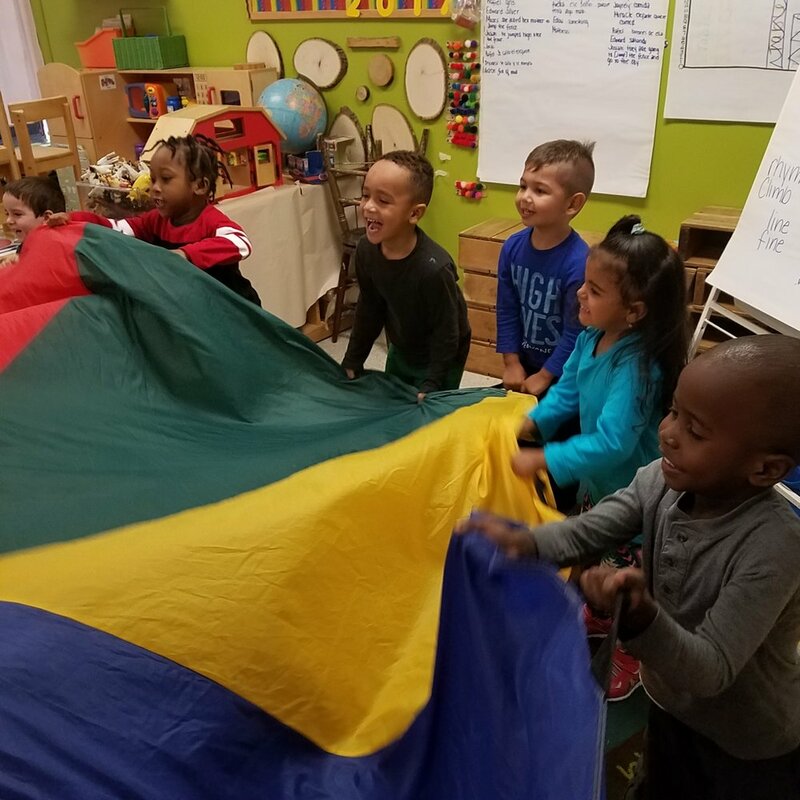 Not only are the children able to perform easy exercises, but they are also able to practice their fine and gross motor skills, as well. Although the weather may have a mind of its own, and not permit us to enjoy the outdoors, especially on those rainy days, we always have a back-up plan!